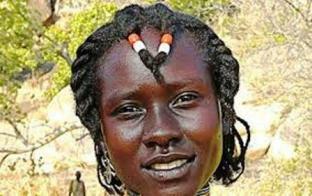 Who are the Nubi People in Kenya and Uganda?The Nubians consist of seven non-Arab Muslim tribes which originated in the Nubia region, an area between Aswan in southern Egypt and Dongola in northern Sudan. For centuries, this territory was a crossroads between Egypt and the African tribal kingdoms. From the 1500's until the 1800's, the Ottoman Empire encroached upon the Nubia region. As a result, many Nubians migrated to remote areas along the Nile. Distinct groups evolved and were named according to their locations. For example, those who settled near the Wadi Kenuz became known as the Kenuzi while those who settled in Dongola became known as the Dongolawi. In the 1960's, many of the Nubian villages were flooded as a result of the construction of the Aswan High Dam. About 100,000 Nubians were forced to resettle in "New Nubia," 20 miles north of Aswan. Others relocated in Uganda and Kenya. Most Nubian groups speak their own dialect of the Nubian language. However, many also speak Arabic which is the common language of business and trade. Although their languages are different, each group is identical in social, economic, and cultural organization. These Nubi people developed as a unique ethnicity, as individuals from various Sudan tribes melded together in the new settlements in Uganda and Kenya, marrying local women. 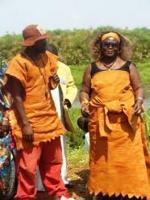 Nubi men continue to marry women of various tribes. These new wives are expected to learn the Nubi language. Some popular sources sometimes use the term Nubian for this ethnic group. This seems to be partly due to confusion of these Nubi people, originally from Sudan (Nubia), with the cluster of ancient peoples called Nubian in northern Sudan and southern Egypt. The Sudanese troops that fought with the British likely did include soldiers of traditional Nubian ethnicity. 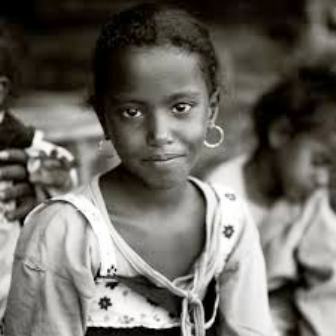 However, there is no current connection between the traditional Nubian peoples of the Sudan and these Nubi people. There appears to be no contact between the Nubi groups and the Nubians who have descended directly from the ancient Nubians in various linguistic and cultural tribal descent in their home areas. The Nubi are now estimated some sources as 16,700 (2001) in Kenya and almost 15,000 in Uganda. The Kenya Nubi still live primarily in Kibera, as a separate tribe, speaking the same Nubi Creole Arabic. Today, the Nubi people work in both the private and public sectors. The women specialize in unique handicraft and hairdressing. This community faces a number of socio-economic and political problems that have reduced their self-esteem. The people live mainly in the slum areas where the electricity, water and sanitary conditions are poor. Families have difficulty paying school fees and this leads to school dropout and involvement in drug use. This problem is made worse by the urban surroundings. The Nubi people also face a problem where their land is being grabbed by the rich. They find themselves threatened and depressed. The Ethnologue lists their language under the name of the people, Nubi, with language code kcn. The Ethnologue comments. "Formerly a soldier language, which split off from Sudanese Pidgin Arabic about 1900." It is considered a Creole Arabic. The Nubi's language is reported by some to be no longer intelligible with Sudan Creole Arabic (Juba Arabic). An article in the Sunday Nation newspaper in Nairobi (written by a Nubi Catholic priest, "Father Kizito") says the Nubi in Nairobi cannot understand Sudan Arabic Creole speakers. It is uncertain whether Nubi (Kenyan Creole Arabic) is intelligible with Ugandan Nubian Creole. The Ethnologue reports them as the same language. In the past, the language has also been referred to as Nubian Creole Arabic. The people are called Nubi. Their language is appropriately referred to as Nubi or Nubian Creole. However, the term Kinubi commonly used for their language seems to indicate their bilingualism in Swahili and their association with Kenyan African society. The Kenya Nubi use Swahili, however, to speak with the world, not any form of Arabic. Creole Arabic (Nubian, or Kinubi, the Swahili name for their speech) is only a home language, and is not written. Though educational levels are not high, they are literate in Swahili and English. Everything related to learning, writing or contact with the outside world appears to be in Swahili (or English) and they seem totally bilingual in Swahili. It is not certain whether Swahili is their primary decision-making language. If not Swahili, then it would be Nubian Creole Arabic. In Nairobi it appears that Swahili is becoming the mother tongue of the Nubi tribe. The Ethnologue reports that the Kenya Nubi have a "stable bilingualism." 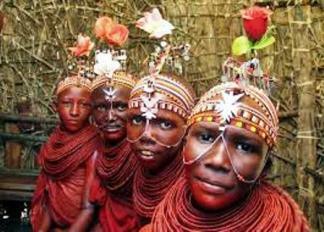 The Ethnologue reports that the Kenya Nubi have a literacy rate of below 1% in their own language. There is no written literature in the Nubi language. Literacy in Swahili is a bit higher, but still below 5%. The Nubi came to Kenya in the 1800s due to their military service with the British in Sudan. They were settled in Kibera before Nairobi was even a town. There does not appear to be a strong political identity for the Nubi in Kenyan history. They are not prominent in current politics. They have been accepted by other tribes and identify with Kenyan society at large. The Nubi have steadfastly maintained their Sunni Islam while living in Kenya for a century. In the Kibera neighborhood of Nairobi alone, there are eight mosques, all led by Nubis. Since the colonial days, Uganda has hosted an ethnic group of people known as Nubians, originating from the Nuba Mountains in Sudan. The traditions of these people are unbelievably fascinating. These are traditions so conserved that they are very unique. Numbering well over 10,000 in Uganda, Nubians are arguably the only tribe in Uganda that has all its members belonging to the Islamic faith. Indeed, their traditions are more or less in line with Islamic teachings. A marriage in a Nubian setting is called the 'Nikah' (tying the knot) and it is conducted at a mosque or at the girl's home where it is presided over by a Sheikh (elder). It all begins with a boy and a girl agreeing to get married. Ordinarily, it is the boy that initiates the relationship, before the couple informs their parents. However, some conservative families still choose suitors for their daughters, ignoring the daughters' preferences. This is in relation to the Islamic belief that a parent should marry off their daughter in the best way they deem fit. This tradition is, however being challenged by western values which emphasize freedom of choice. The boy's parents are supposed to get in touch with their counterparts on the girl's side to ask for her hand in the marriage on his behalf. Then, a visit to the girl's family by the boy's parents, intended to sort out the formalities for their children's marriage, follows. It is then that deliberations on the related terms and conditions are made. One of the items on the agenda of such a meeting is the gifts that will be received by the bride's family. Such items may include sugar, money, cooking oil, cloth and any other as may be demanded. Chandi Abdi, a Nubian who owns a media company in Kampala, says that it is common to find a special package of 'Kari' cigarettes for the older relatives of the bride among such gifts. He adds that in any Nubian marriage, the elderly are given priority in choosing gifts because they are highly respected and are believed to be capable of administering good luck. Before the Nikah at the mosque, the groom gets a chance to talk to the bride. This session is known as the Mahare (bride gifting) and the groom is supposed to ask the bride what she would like him to give to her. She can ask for such items as cars, houses or opt for nothing but love. The essence of this ceremony is to get the couple committed to marriage, for they get a feeling of being indebted to each other. 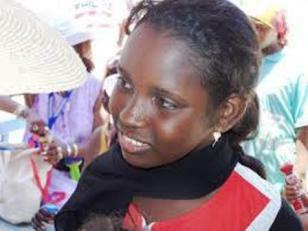 Chandi says that some Nubian girls use this opportunity to make the men commit themselves to a monogamous marriage by asking them not to marry other women as is allowed by Islamic tradition. Because she has the liberty of choosing whatever items she deems necessary, the bride is expected to use this opportunity optimally and reach a consensus with the groom on the terms of fulfillment. When a man fails to commit himself to the delivery of the girl's demands, the marriage can be halted. He, however, has the opportunity to pay in parts or pledge his commitment but in case a divorce happens afterwards, the girl's family is expected to pay back the items that were given by the man as mahare. The Nikah climaxes with the couple tying the knot, which cements the couple as man and wife. This ceremony cannot be done if the bride is pregnant - she has to wait until she has given birth. It is blessed by a Sheikh in the presence of witnesses. However, the bride does not make an appearance there and she is expected to stay in hiding until she is ready to go to the groom's home. She is represented at the Mosque by her brother or father, depending on who in her family has the right of giving her away. She does not appear before the people at the Nikah because there is a need to protect her from temptations in case she sees other men who might easily lure her out of committing her life to the groom. The groom can take the bride home after theNikah has been performed but she will be wrapped up, to ensure that no other person sees her until she has reached his home. The first obligation a bride is expected to perform when she reaches her new home is to prepare a meal for her new family. It is referred to as 'testing the hand of the bride' and it is done to confirm her potential to make a responsible wife who can fend for her family. It is by this test that the family takes their impressions of the new bride. Muhamed Adikata, a Nubian elder living in the Kampala suburb of Namuwongo says that if the family is not impressed, there is a possibility that the bride will be sent back to her parents so that she can perfect her cooking skills. Occupying areas of Acholi and some parts of northern Buganda such as Bombo, the Nubians are descendants of a group of Sudanese army personnel who were brought into the country by the colonial government. They originated from a region near the Nuba Mountains in Sudan, explaining why they are called Nubians. Their closest relatives in Uganda are the Acholi, who are directly related to the Madi. These are all historically eastern Sudanese tribes. As Adnan puts it, it is because of their hospitable customs and friendliness that the Nubians settled easily in Uganda. They are now constitutionally recognised as one of the country's ethnic groups. Indeed, theirs is one of the very few Ugandan tribes that have managed to keep their customs more or less intact. Their zeal to propel their legacy looks every inch unchallengeable. The Nubian economy is based on agriculture. During the winter months, they grow wheat, barley, millet, beans, peas, and watermelons. Mangoes, citrus fruits, and palm dates are also part of the Nubian diet. A thin, coarse bread called dura is one of their basic staple foods. Pieces of the bread are usually piled on top of each other and eaten with vegetables and sauces, or are spread with date jelly. In old Nubia, men migrated to the big cities to find work, while the women farmed the land, cared for the animals, and did household chores. Today, since the land is located far from their dwellings, men do most of the field work while the women work at the home. Some women have also found employment as schoolteachers, public service workers, and seamstresses. Some of the men now own grocery stores or drive cabs. The typical Nubian house is very spacious, with several large rooms that are able to accommodate the extended family members and guests. In the center of each home is an open courtyard. The front of the house is colorfully painted with geometric patterns. Most of the paintings and decorations on the homes have religious connotations. The colorful designs are a distinctive and admired feature of Nubian culture. The literacy rate among Nubians is high in comparison with their rural Egyptian neighbors. Primary and secondary schools have been set up in New Nubia, and there are also teacher-training facilities in the area. In addition to education, policies, radio and television are other ways in which socialization takes place among the Nubians. For centuries, the Nubians often held lengthy religious and agricultural ceremonies. However, since relocation, the ceremonies have been shortened and are now limited to the villages. During these ceremonies, the Nubians express themselves through singing, dancing, and beating drums. The Nubians were converted to Christianity during the sixth century. They remained so until the gradual process of Islamization began taking place from the fourteenth until the seventeenth centuries. Today, the Nubians are almost all Muslims. However, their traditional animistic beliefs (belief that non-living objects have spirits) are still mingled with their Islamic practices. The traditional beliefs of the Nubians were centered on the spirit of the Nile. The Nile is believed to have life-sustaining power and to hold the power of life and death within it. The people believe that the river is endowed with angels, sheiks (religious leaders), and other powerful beings. The sheiks are sought daily for their advice in the areas of health, fertility, and marriage. 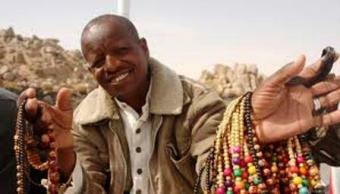 The Kenuzi Nubians have an annual festival known as the "Saints Day Celebration," or moulid. This holiday reinforces the history of the Kenuzi. Gifts are presented at the ancestral shrines in the fulfillment of a promise made the previous year. Colorful processions are held during this time of celebration. Dancing, singing, and feasting are also included in the festivities. The moulid is still celebrated in New Nubia each year.